Getting ready to set off tomorrow. Meeting friends on Portrush Road at 9:00 am. Going as far as Robe and staying there for 5 nights. No point being in a hurry when you are retired – is there. Van is packed with the essentials and the Nissan has not been told it is to be a work horse once again. Trouble free trip ! 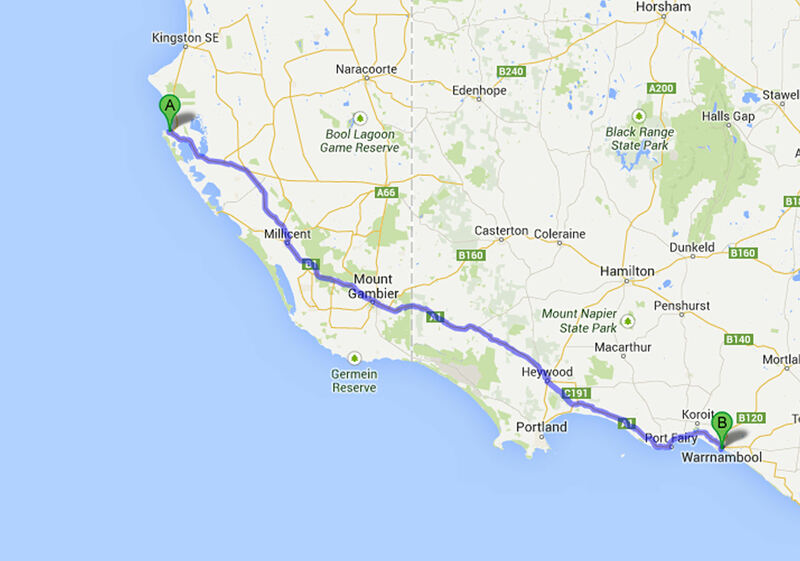 Not going all the way to Geelong. 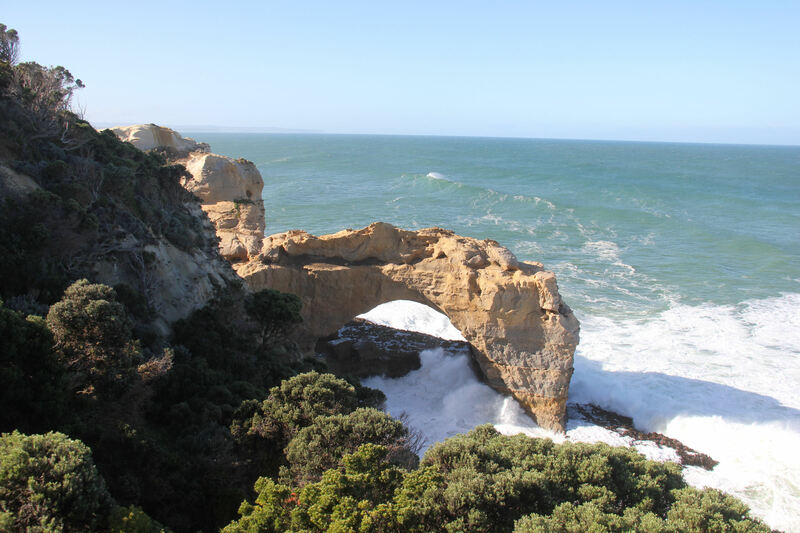 Staying at Robe – Warrnambool – Port Campbell – Hamilton ? 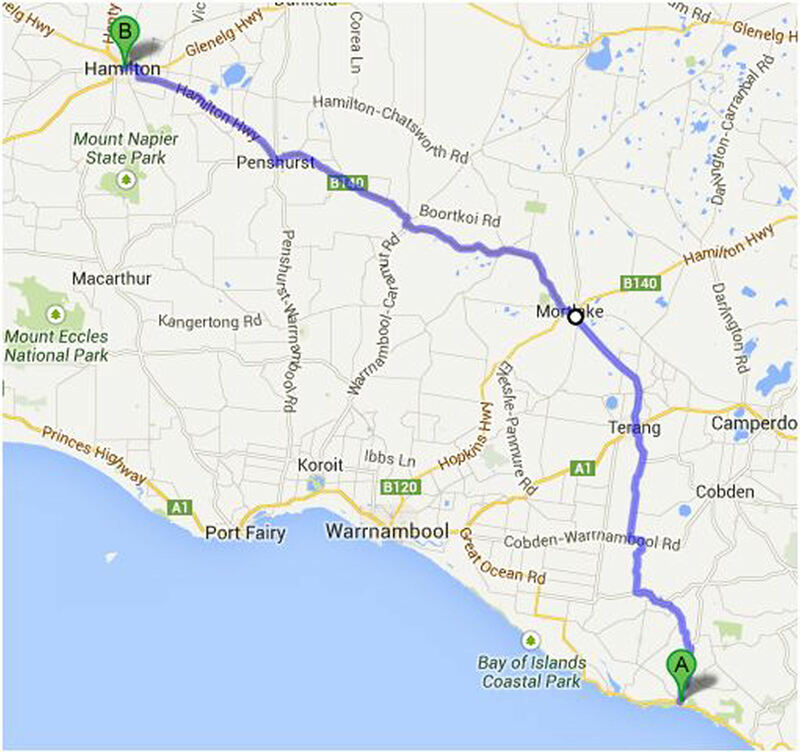 and Penola (a good wine district) over a 3 week period. Well we were off to meet Ken and Janet at 9:00 am on Portrush Road, but did not take into account the bike way that did not finish until 9:00 am and we got there at 8:45 am. 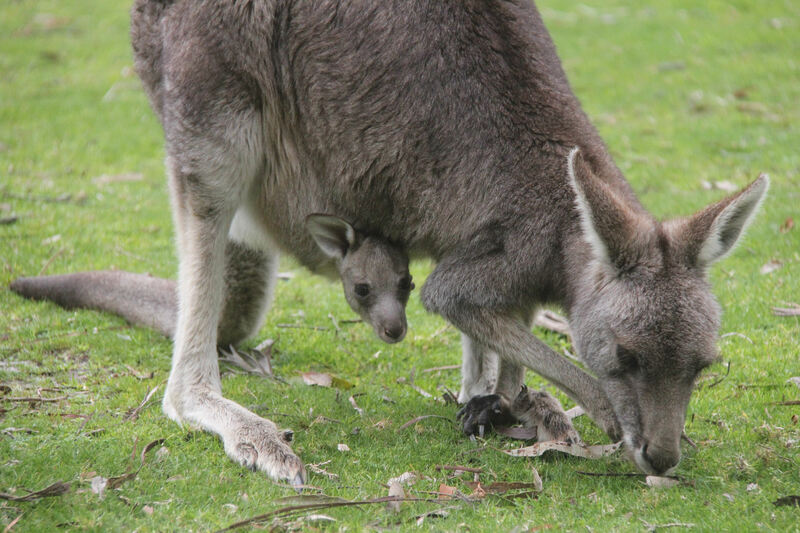 Not to worry they eventually caught up just outside Hahndorf. 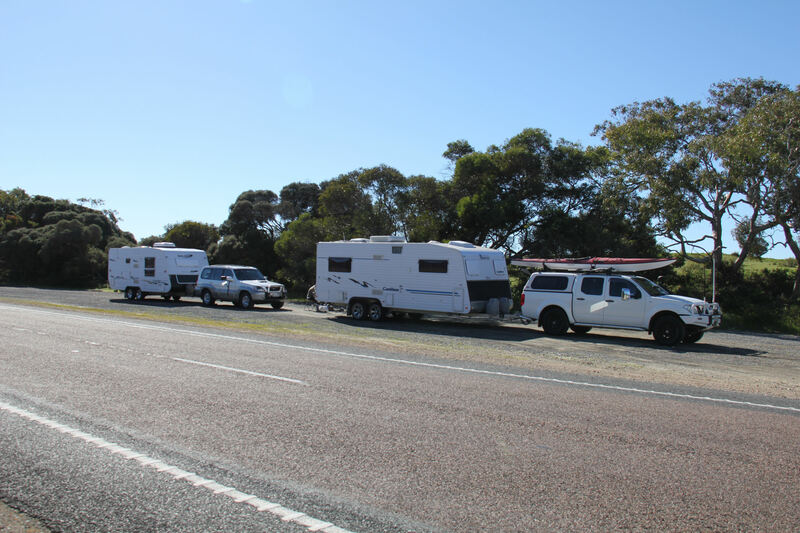 Stopped for lunch just before Chinamen Wells in the Coorong. 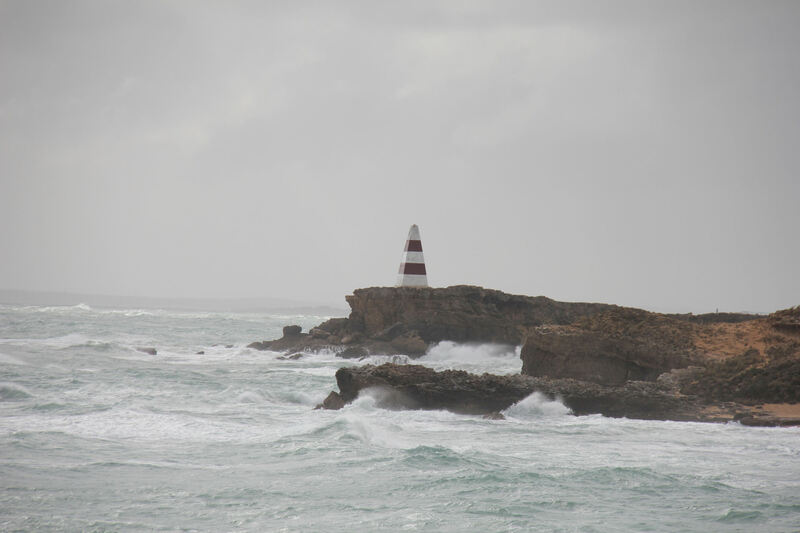 Weather was not looking very good for Friday so thought the drive to Kingston and Cape Jaffa might be interesting. 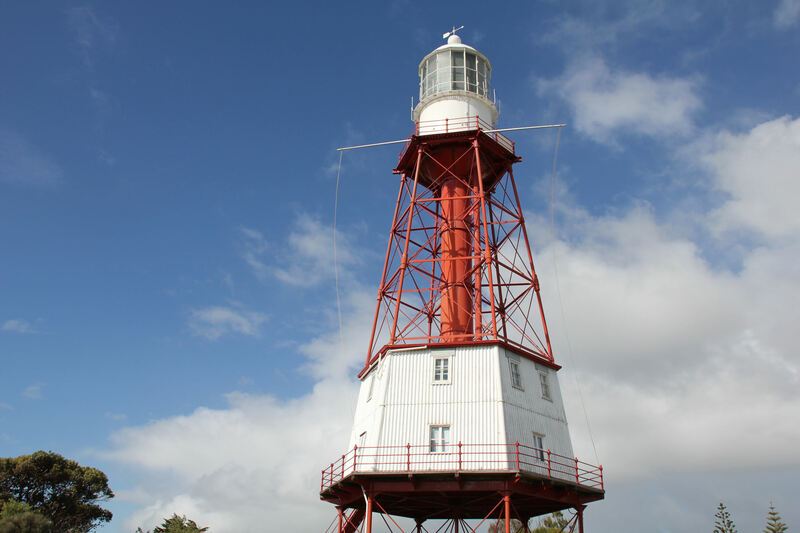 Found the relocated Cape Jaffa Lighthouse in Kingston. Shifted in 1975. 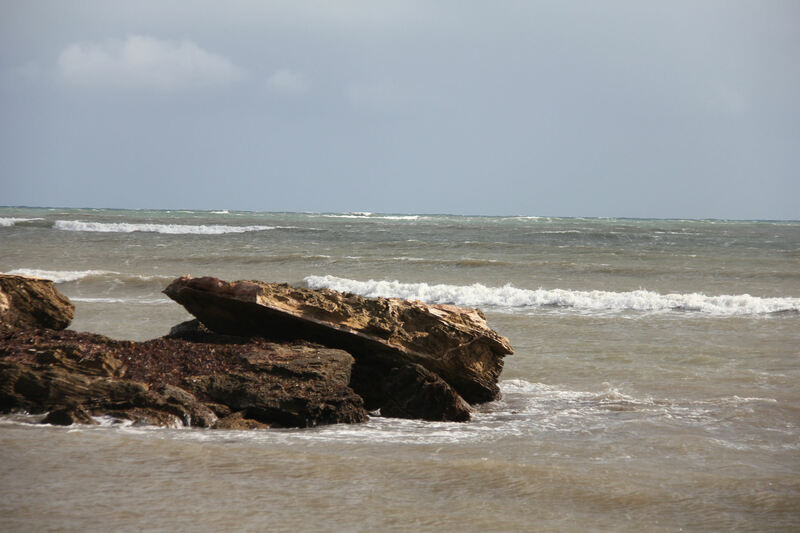 It was built in 1862 for Margaret Brock Reef. Then off to Cape Jaffa and found a development under construction. 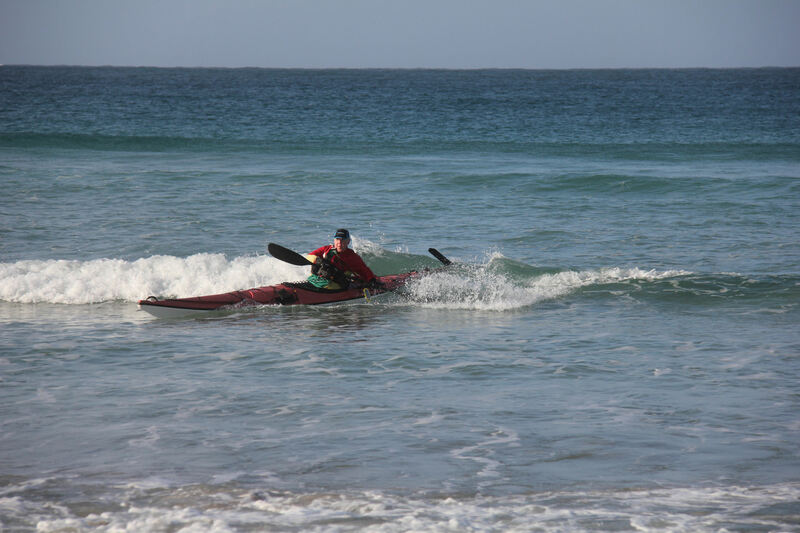 Was not looking like I was going to paddle at all, so off back to Robe. Tourist drive very interesting to find the Obelisk. 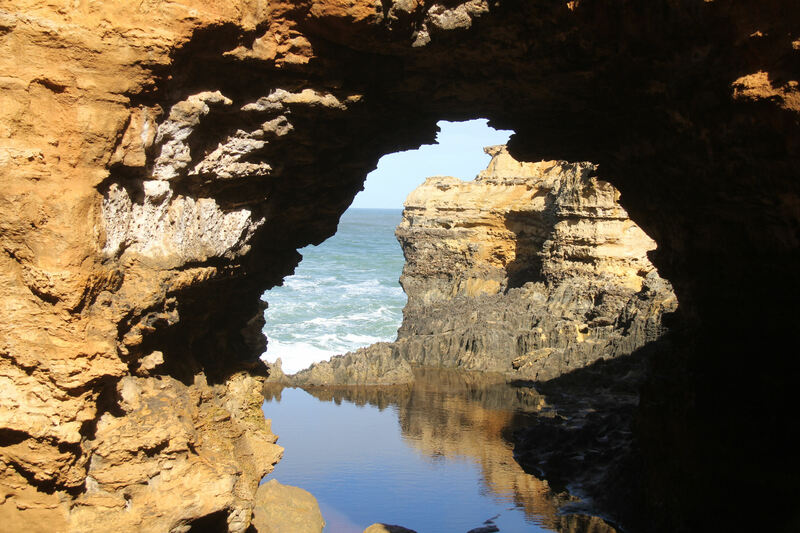 Other interesting photo was of Doorway Rock. 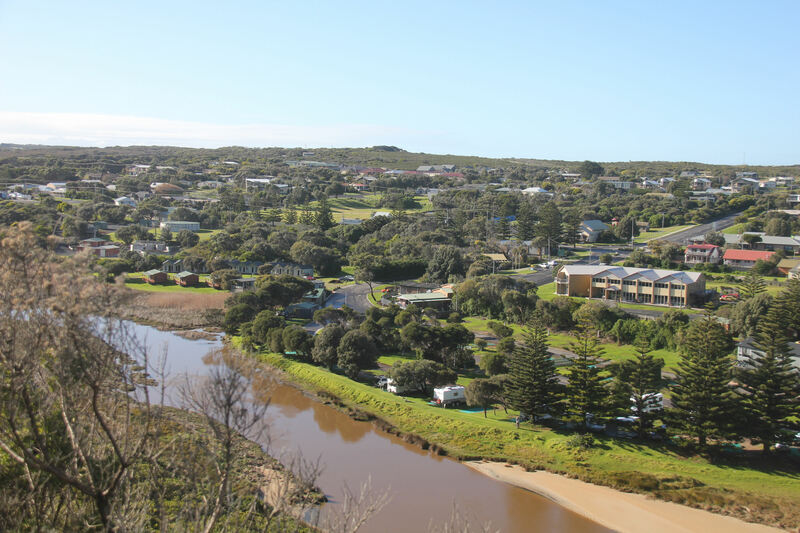 Then off back to the Top Tourist Park – Lakeside Tourist Park which is a nice quiet spot, away from the sea and wind, heritage listed buildings. 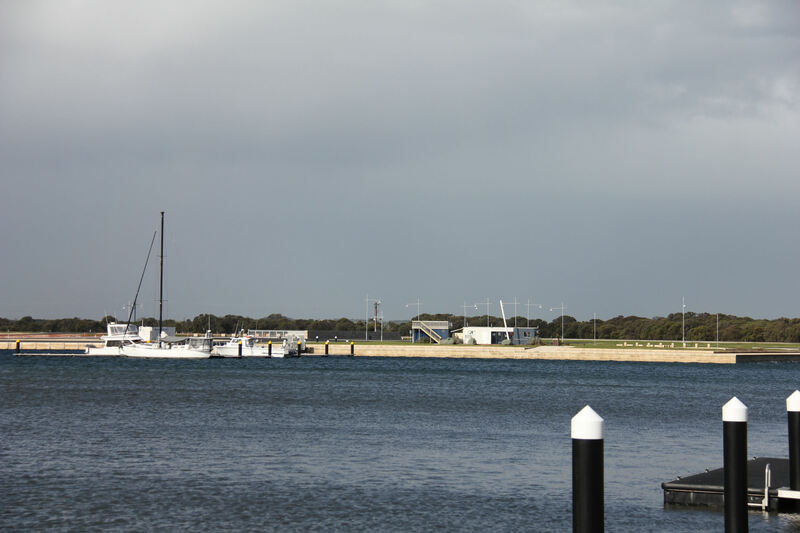 Saturday was another cold and windy day so off to Beachport we headed. 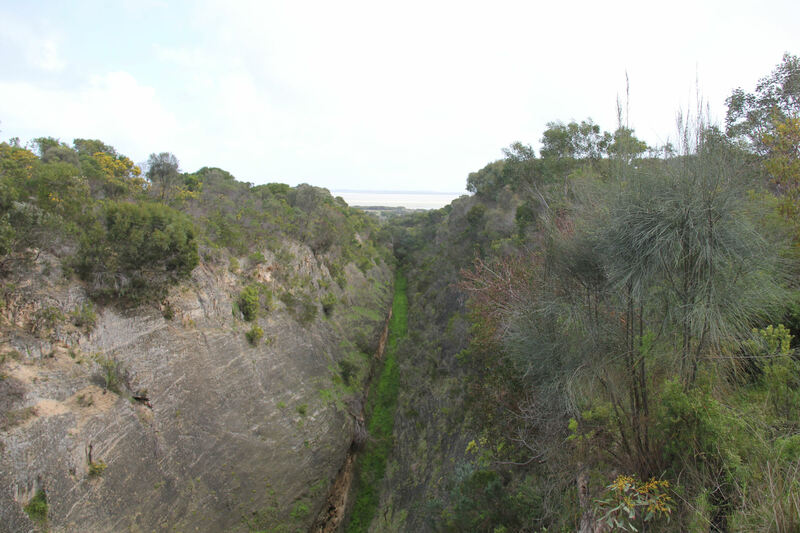 Stopped to have a look at the Woakwine cutting, dug /blasted in 1957 and it took 3 years to complete. One kilometer in length and 34 metres deep. Dug to drain a swamp so it could become farm land. 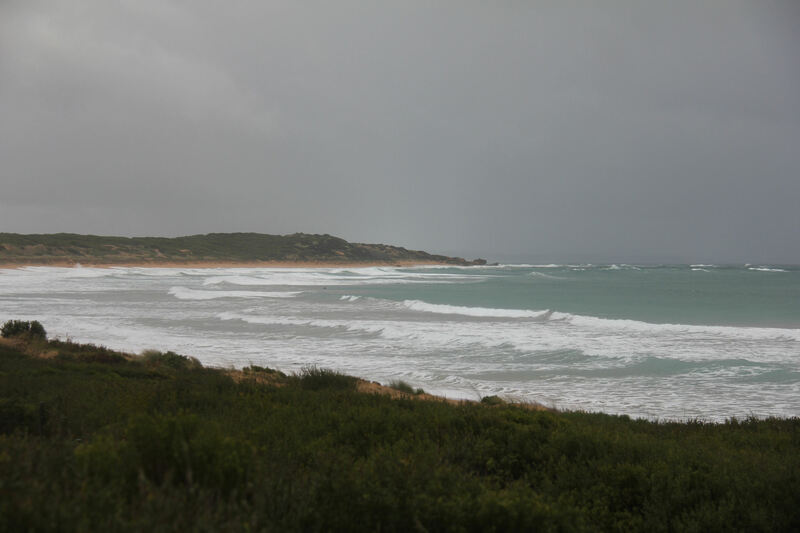 The beaches at Beachport look like a good spot to paddle when it is not blowing a gale. Many good spots to go surfing if you had the right equipment. Notice the blow hole. Some of the spots would not be very good for a beach landing. 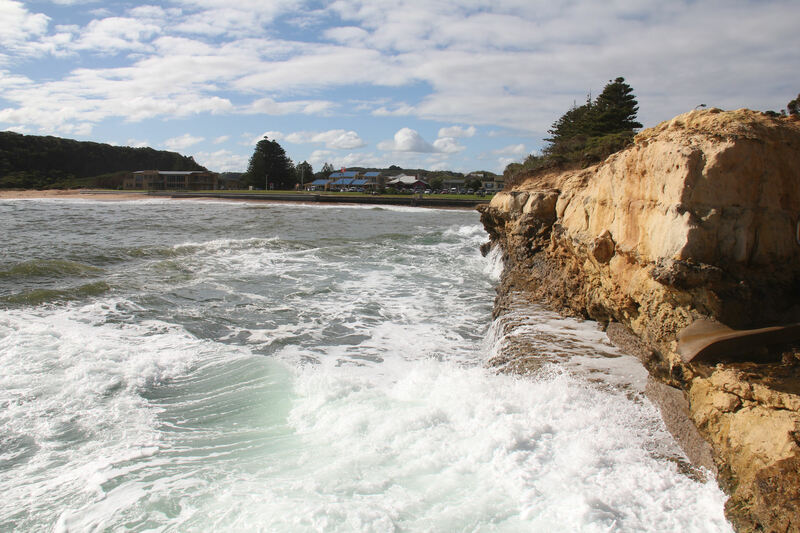 On Tuesday it was time to shift onto Warrnambool. 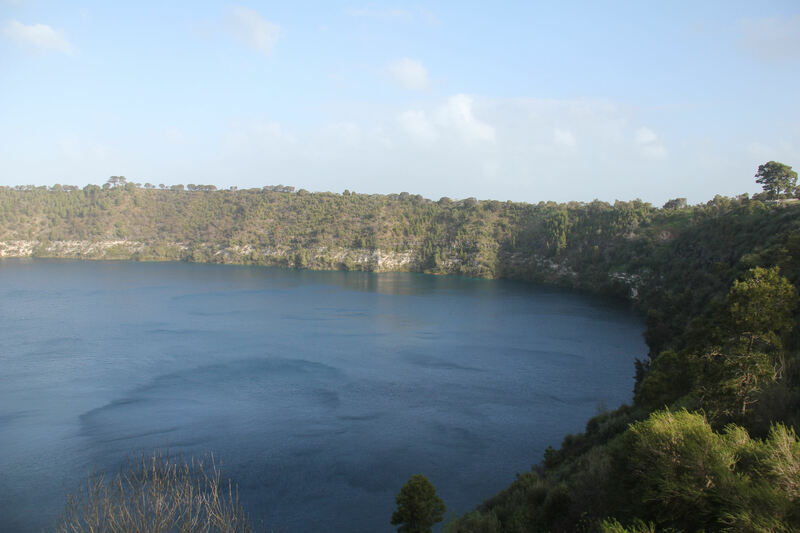 Stopped at Mount Gambier for lunch. It was a welcome distraction to break up the 311 km for the day. Got to Surfside Tourist Park at 4:00 pm. Got allocated to a nice spot opposite the camp kitchen. The park is quite nice. Plenty of space. Over the hill on the side of the caravan is the beach. Can hear the surf breaking most of the day and night. If only Lorraine had brought her surf kayak. She would be having a good time. 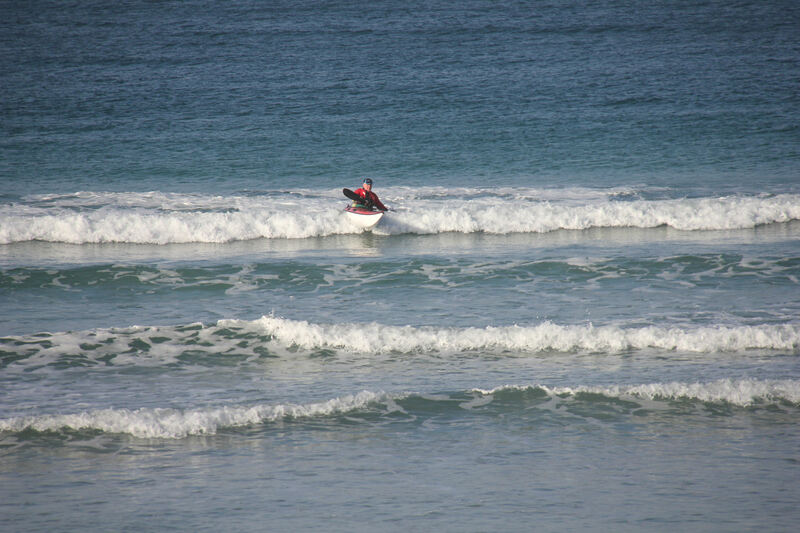 One person was out trying to catch a wave. If you look really hard you can spot his head in the middle of the picture. On Thursday the weathers was looking good as they had not forecast storms but rather rain. 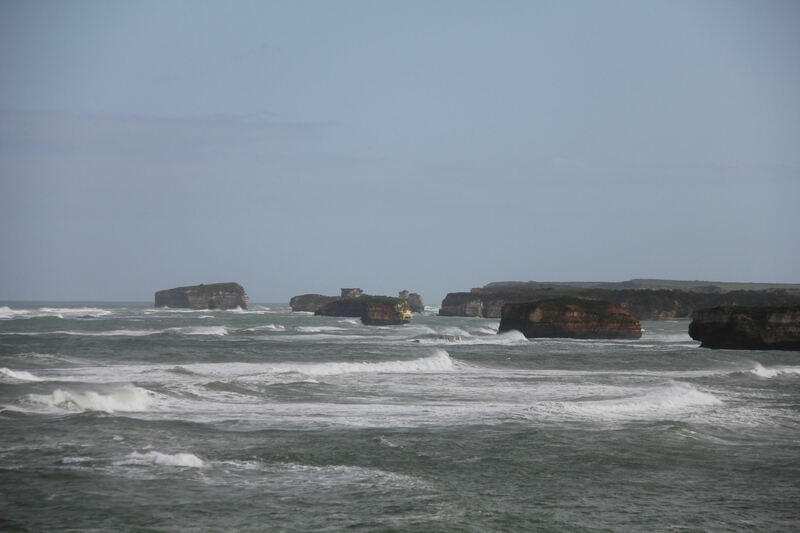 So off to Port Fairy we travelled. 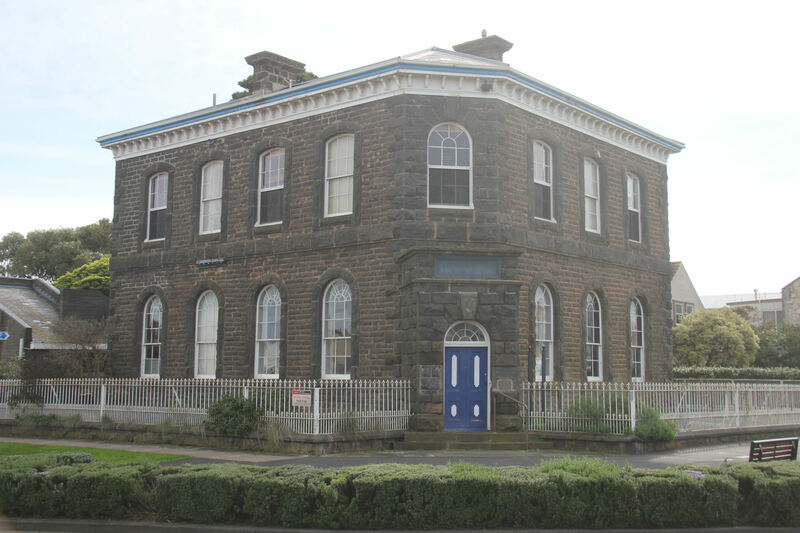 The Bank of Australasia was built in 1853. The beaches were not suitable for swimming. 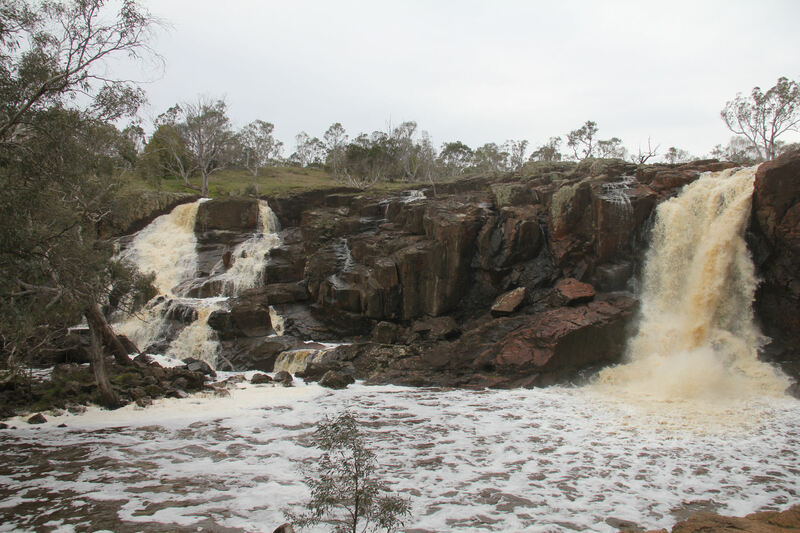 On the way back to the caravan park we decided to go to Hopkins Falls. 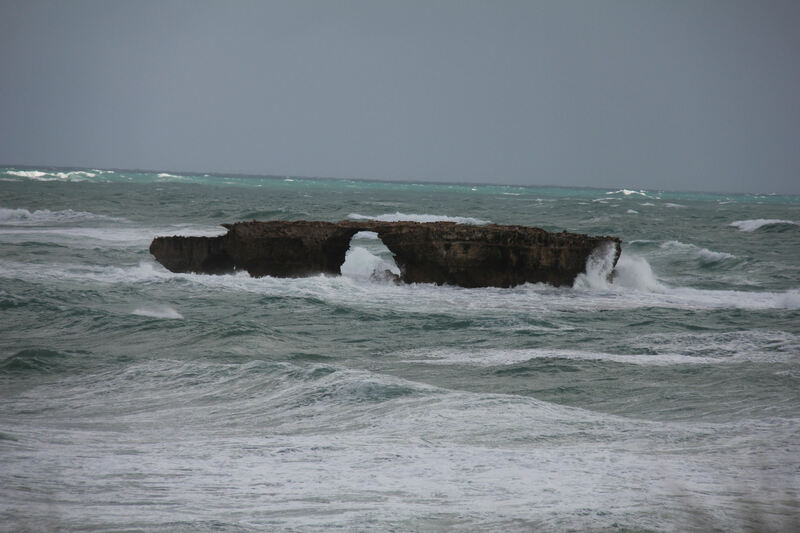 It must have been raining very heavy far away as can be seen by the large amount of water coming over the top. 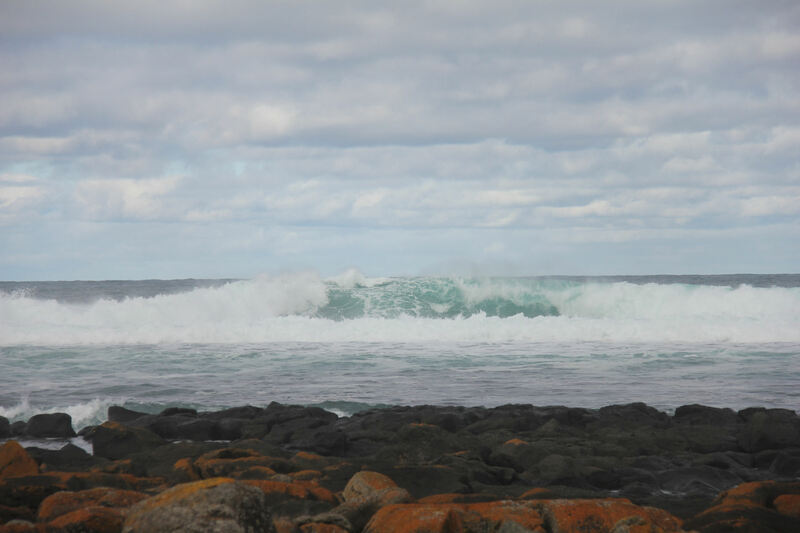 Getting back out was the best part as the waves just kept forming and crashing onto the beach. 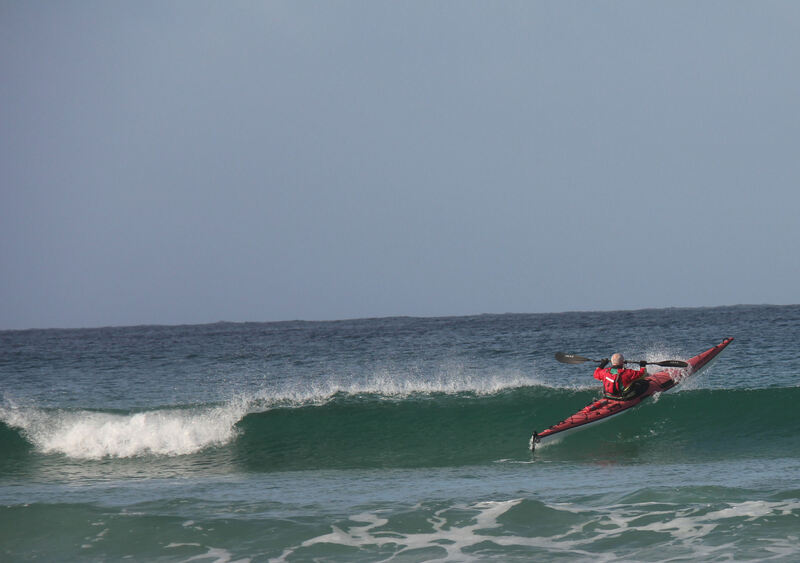 One last wave and back to the boat ramp. 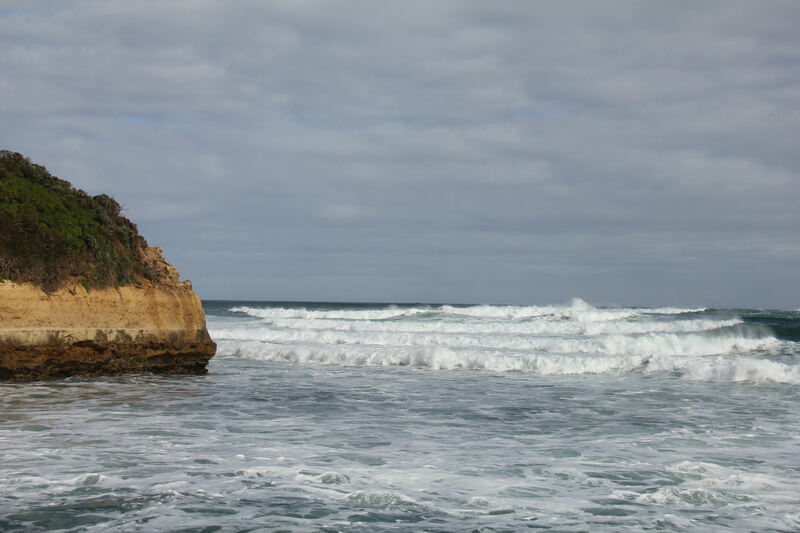 On Sunday it was off to Port Campbell. It has become part of our travelling routine, to have the better weather when we are sitting in the cars. 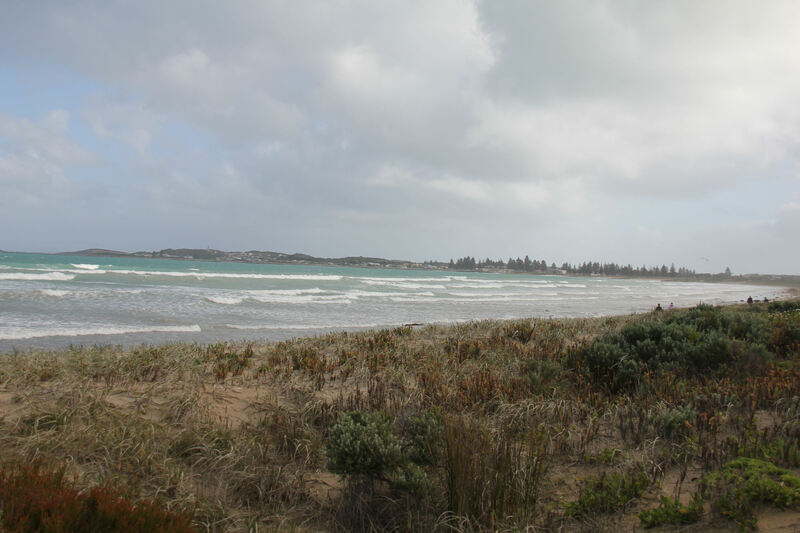 Got set up in the caravan park and decided to go for a walk to see what the beach looked like. Looking the other way from the jetty was setting the scene that paddling here may not happen. 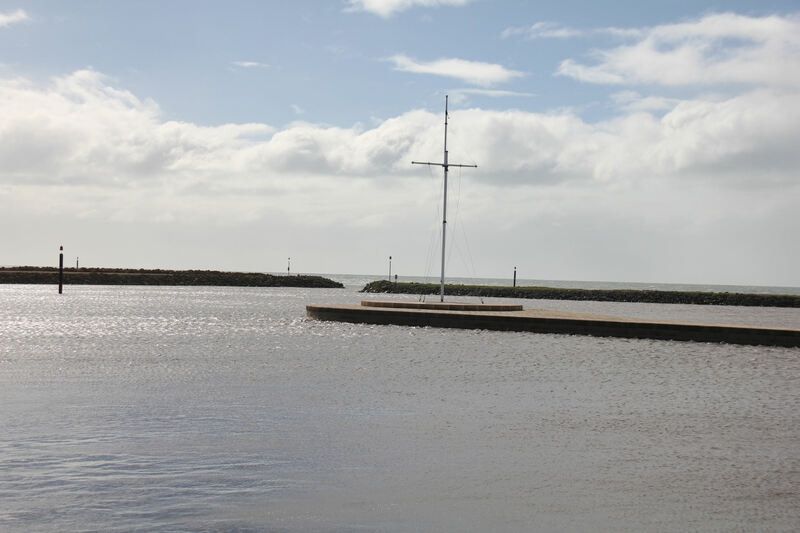 Even getting past the jetty would be a challenge. The structure on the right hand side, is for lowering the boats into the water. The day started of very cold and windy. Such were the weather conditions that the hail started early in the day before 9:00 am. The mat outside the van was slippery. 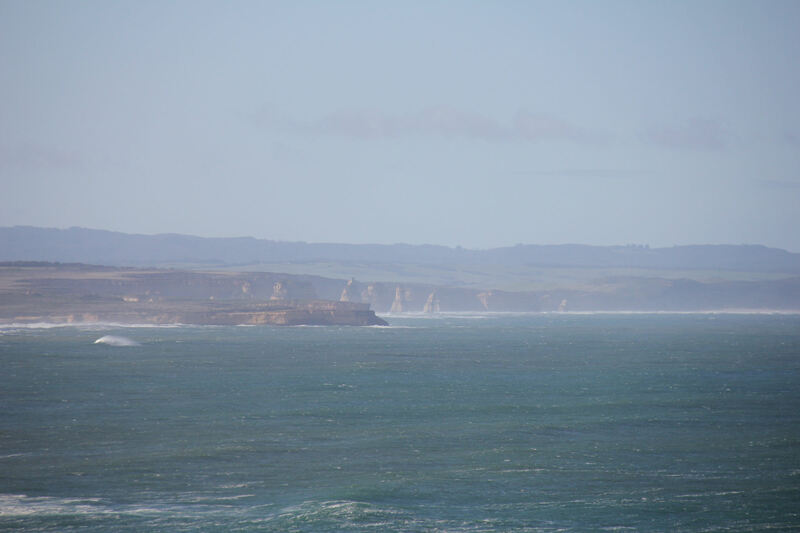 We spent the day in Apollo Bay and Lorne. Not a good day until we got to Lorne. Might have had something to do with the visit to St Anne’s Winery outlet to stock up on some white port for Lorraine. Tuesday was sunny so we set off back up the coast to see the sights. 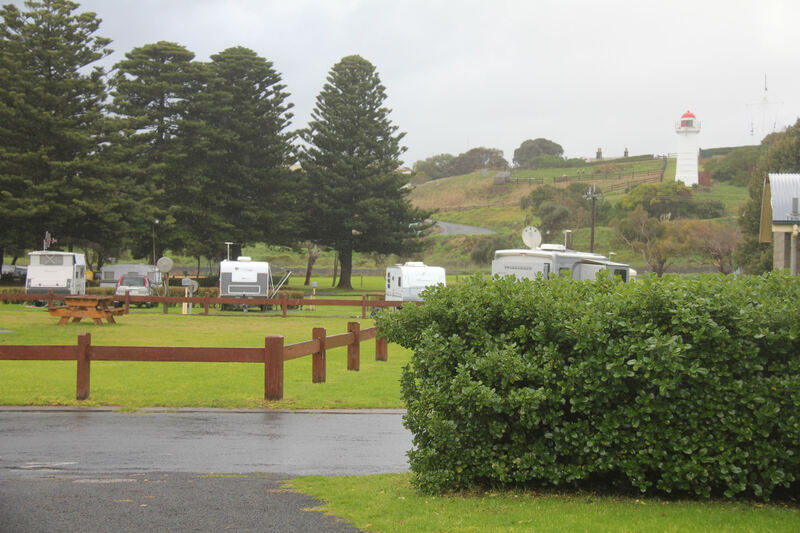 The caravan park from the first lookout. 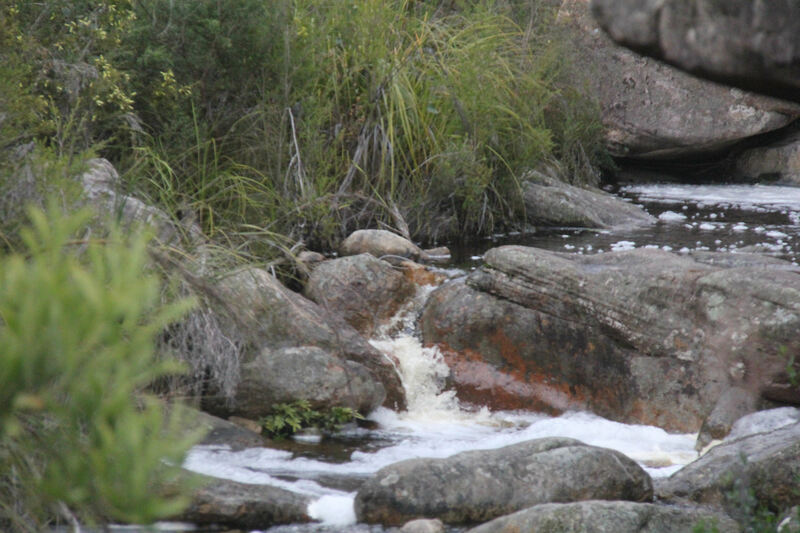 It sits along side the river feeding into the bay. 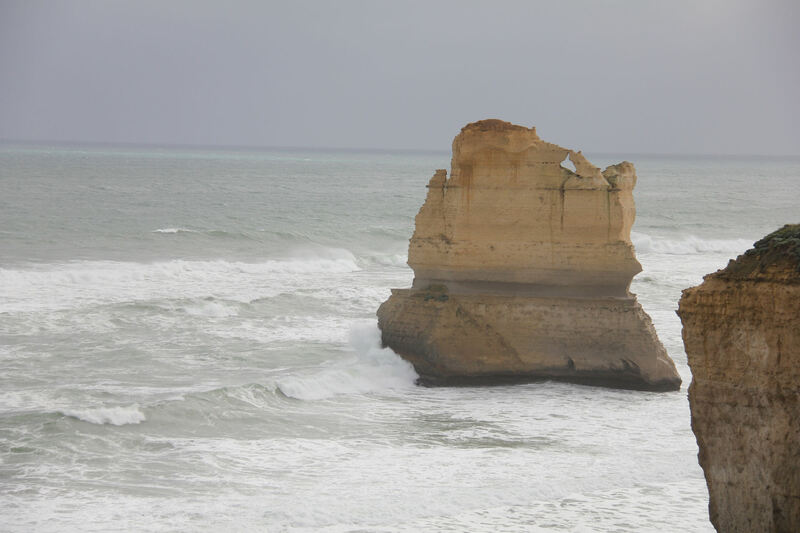 A bit further on the 12 Apostles could be seen in the distance. The Arch was the first bit of great scenery encountered. 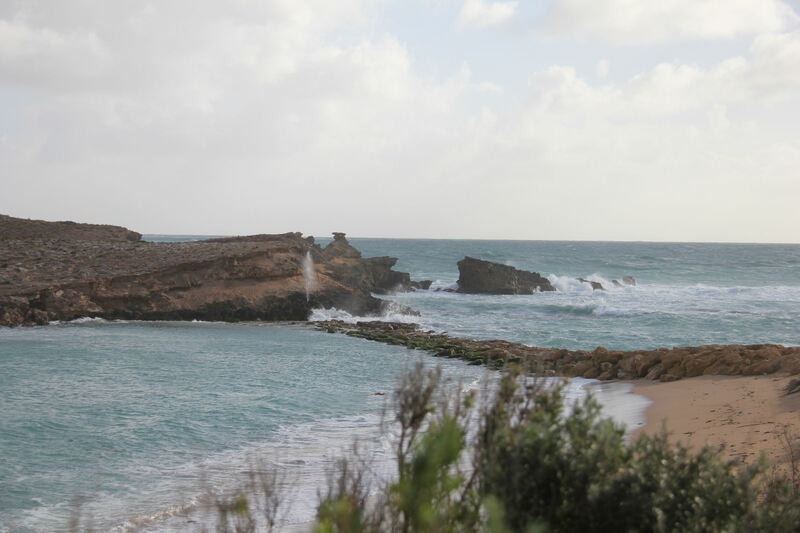 This used to be London Bridge until the joining section broke off and plunged into the sea. 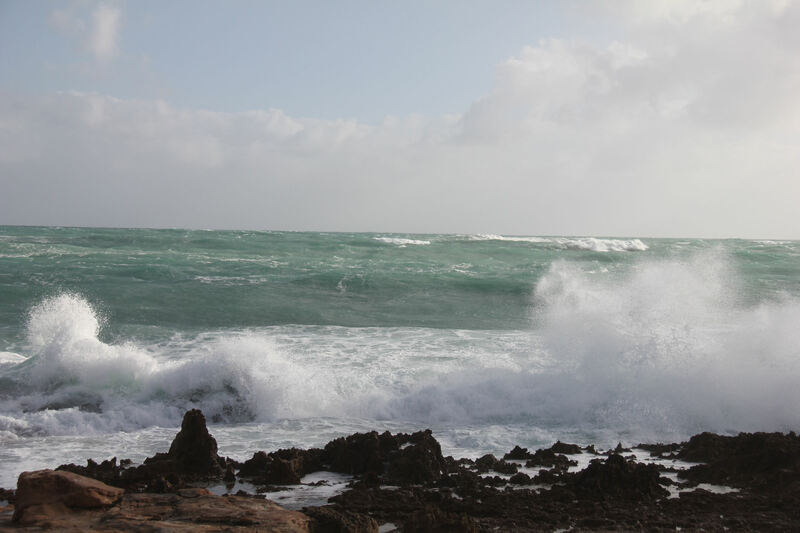 Although the sun was out, the wind was still making the sea not suitable for any activities. 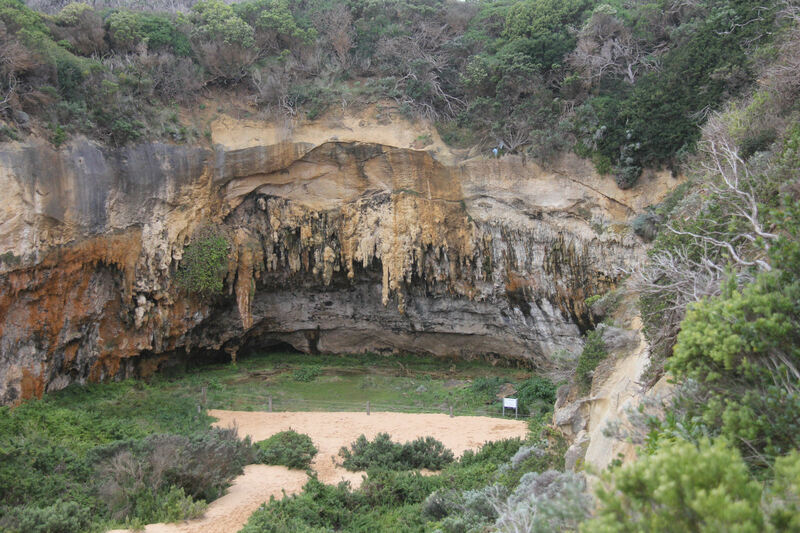 The grotto was interesting to walk down to. Interesting scenery just kept occurring. 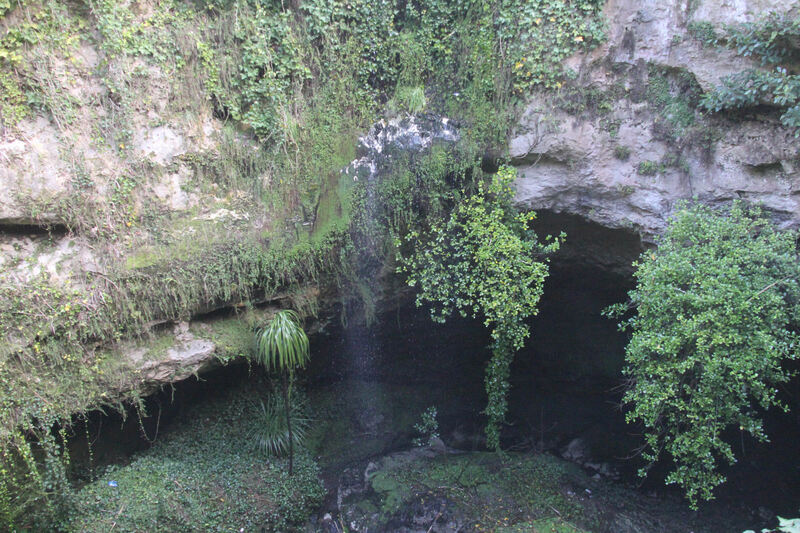 Two people apparently came off a shipwreck and found refuge in this cavern. We decided to visit Timboon for lunch. Unfortunately the rail shed distillery is where we ended up. Great food, licorice ice cream and coffee liqueur. The Apostle Whey Cheese factory was on the way back to Pt Campbell. They care for the cows and have a special shed set up for them. 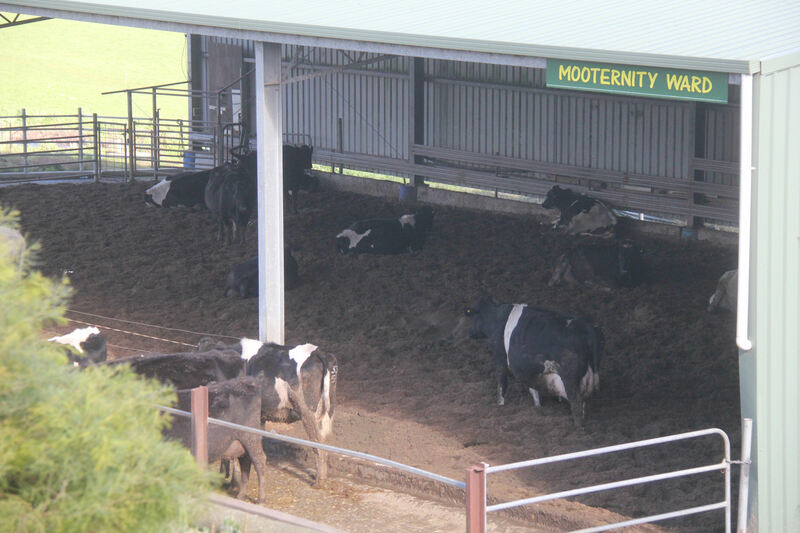 The calves are delivered in this shed during winter. 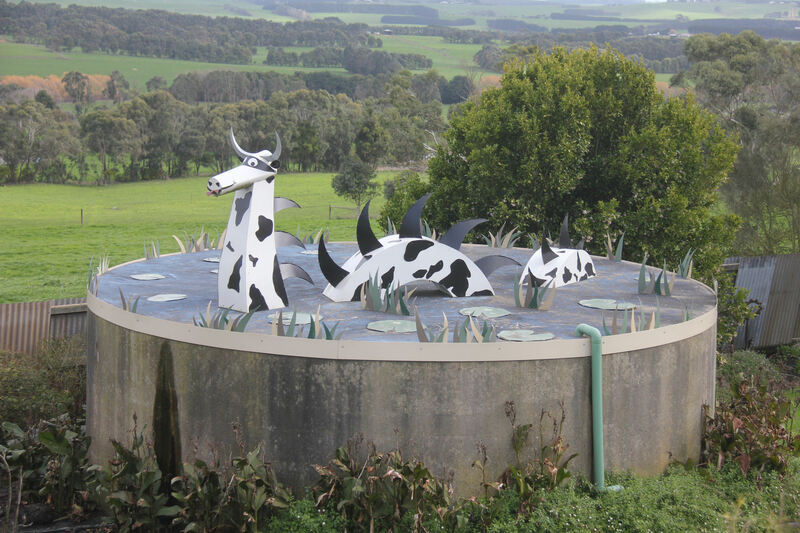 They even have a special animal in the water tank. The factory is not far from the Loch Ard Bay. Ken and I had to find Lorraine and Janet. 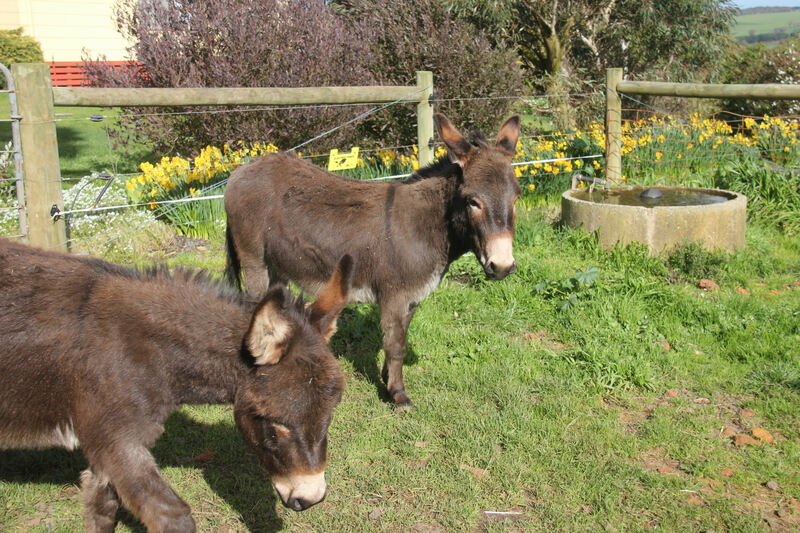 We had to visit various paddocks and found miniature donkey’s in a paddock !! Unfortunately Ken stopped at Gorge Chocolates on the way back to Port Campbell. Had to join him in having a mint chocolate drink. Now Lorraine wants to find a supply of mint flakes. Well the day started of a bit differently. 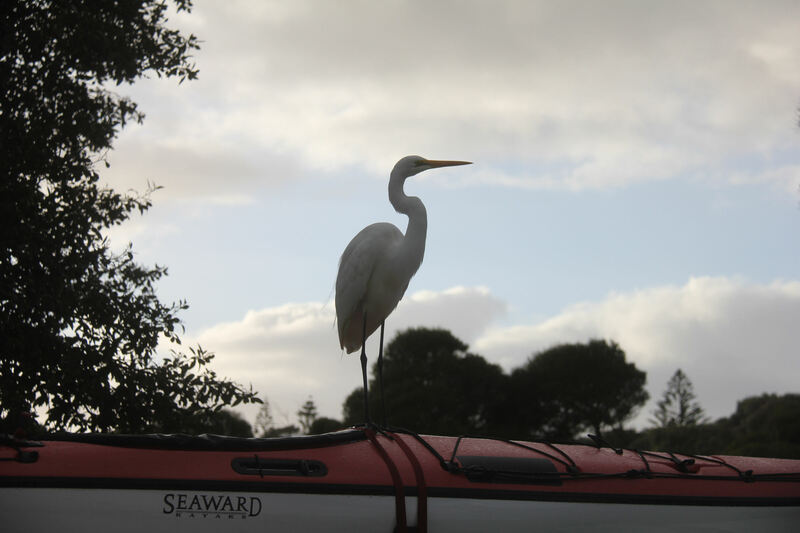 Woke up to discover a creature on top of the kayak. After we informed him he was not getting breakfast he departed. Did look interesting. Another wet day during which we went to the 12 Rocks Cafe for lunch. Good food was enjoyed by all. Friday saw us depart for Hamilton. Once again during our travels the sun was out and no rain. 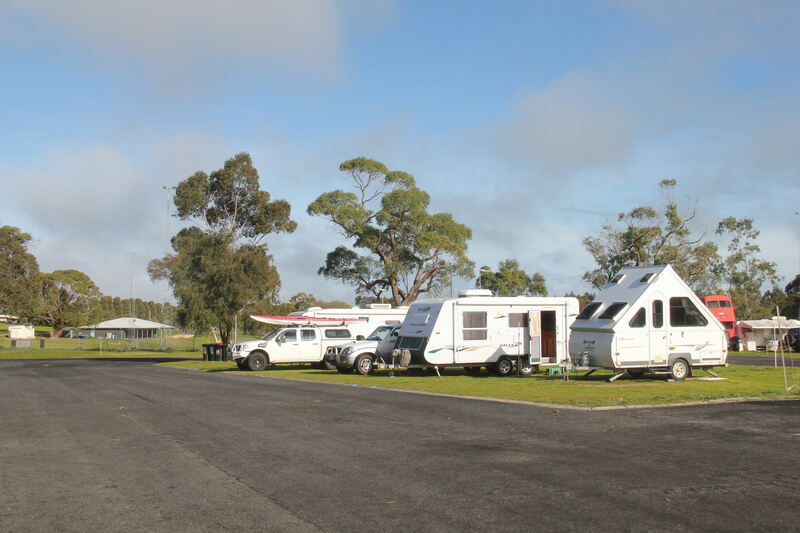 Lake Hamilton Tourist Park is a nice caravan park. Nice and close to the main shopping center. 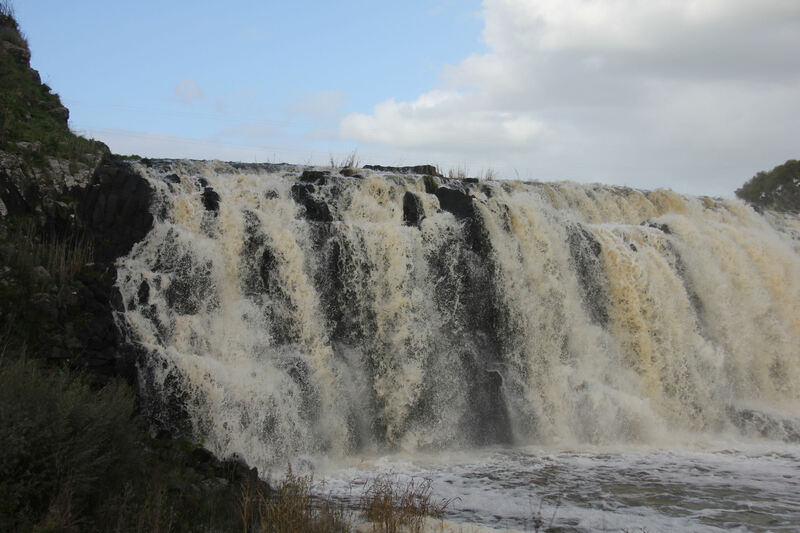 After finding the Information Center, we went out to Nigretta Falls. Ken was sure the Information Center was on the other side of Hamilton. 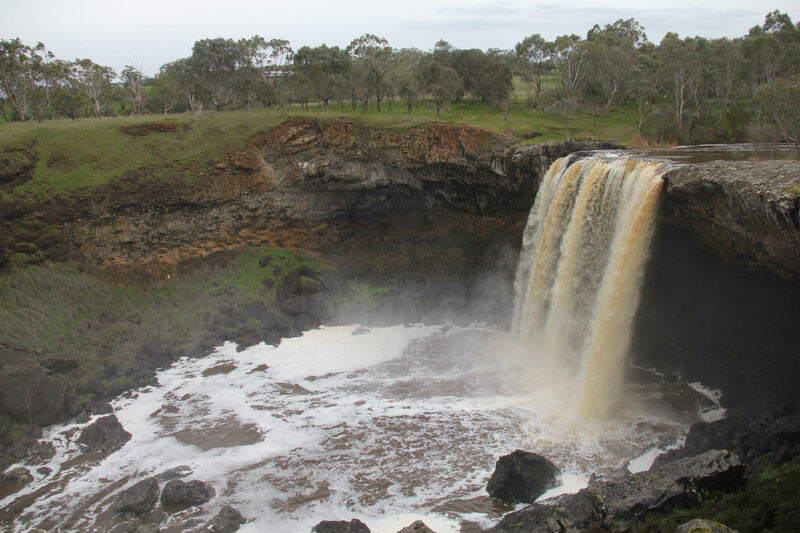 A short distance away were the Wannon Falls. Interesting how water and rock can combine for different formations. 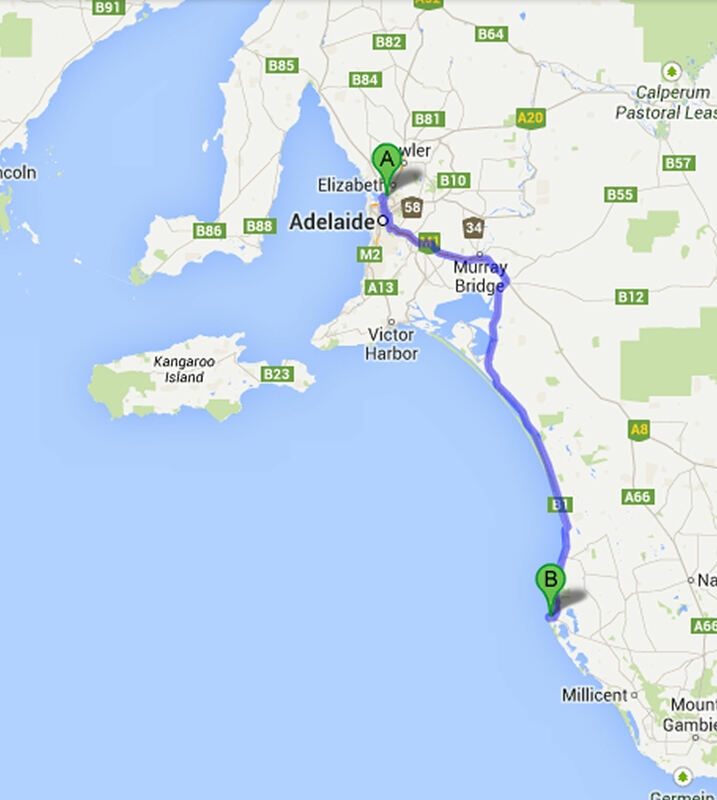 On Saturday we decided to go to Dunkeld and Halls Gap. You guessed it, the rain came again. Still it was a nice place to visit and see the wildlife. It was wet outside, so Joey decide to stay inside for the day. Then it was off for a drive, but the rain was heavier so we cut the drive short and headed towards another set of falls. On the way back the ladies had to visit Only Ewe, in Dunkeld which would have to be the nicest gift shop that we have visited on this trip. Lorraine and Janet visited it twice in one day. The store owner is very friendly and gives wonderful information about the surrounding area. Well today was the day to shift to Penola, yes and it was a reasonable day. Still rained a bit but was very windy. 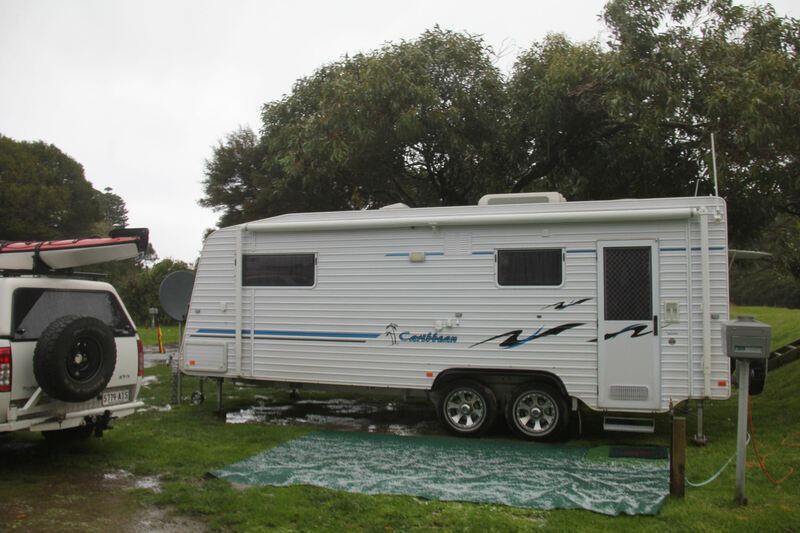 Got to the Penola Caravan Park but nearly got bogged putting the van on the site. 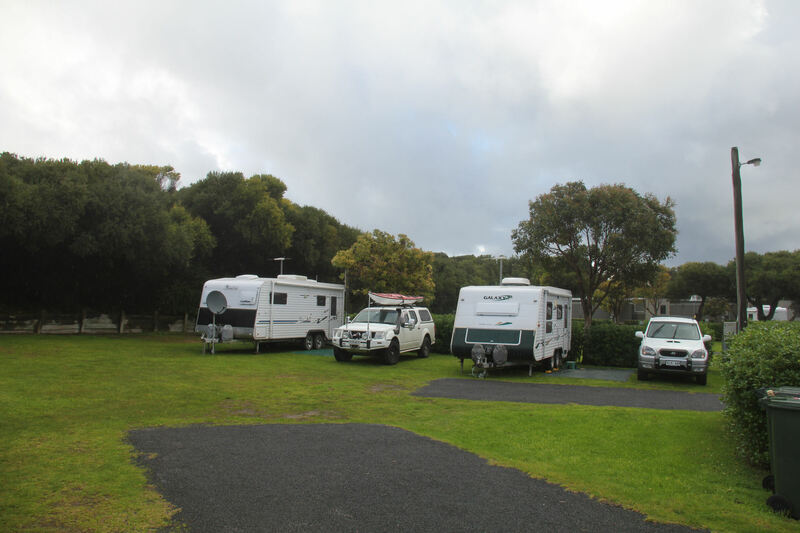 Shifted out before anyone saw us and went to Mount Gambier. Had to get a shot of the Blue Lake. 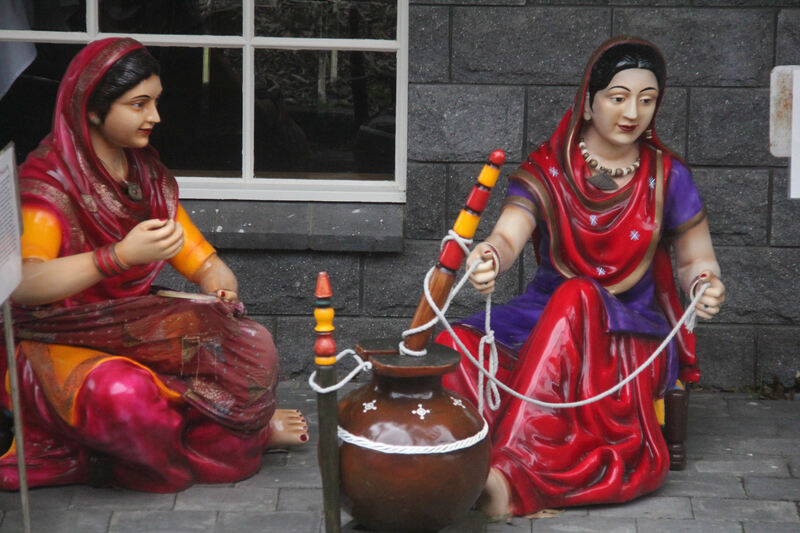 A fountain that was intended to get coins for the needy, was located nearby. We did catch up with one of Ken’s old work colleagues. I actually knew his wife’s brother from ETSA. Had to visit some clothing shops for the women, but when Ken and I would enter, we simply asked if they had seen two old ladies. 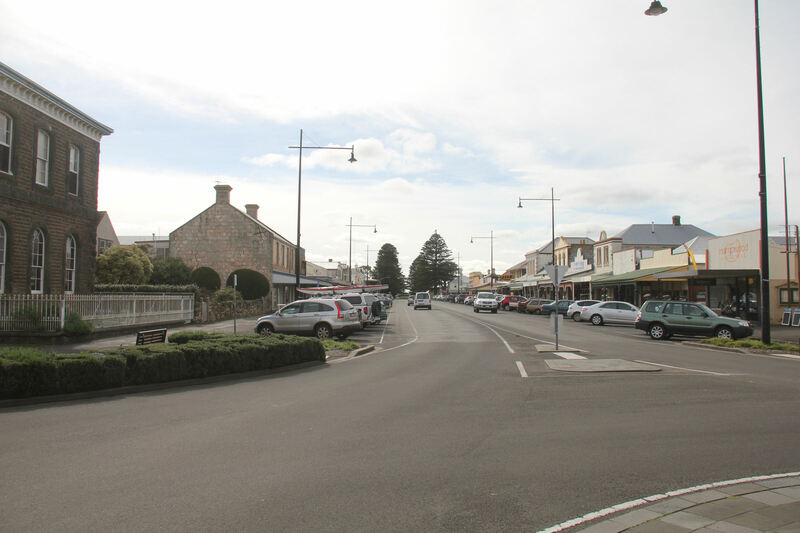 On Tuesday we decided it was time to shift to Naracoorte. 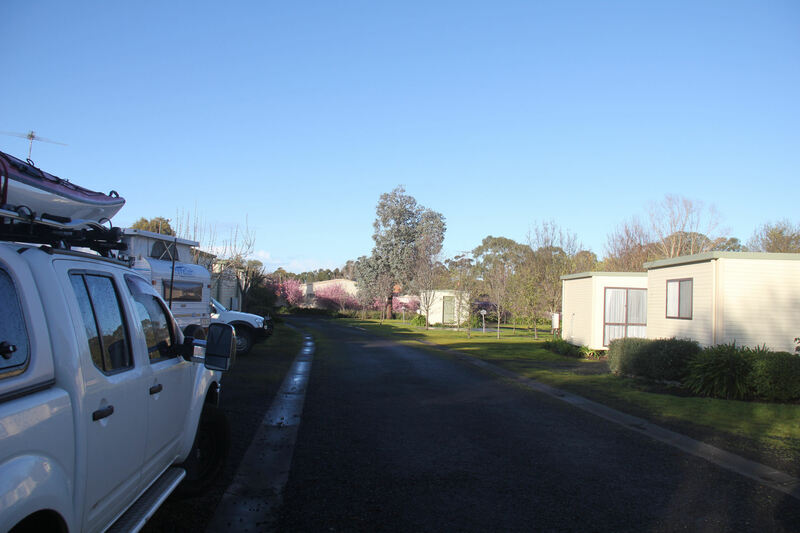 The caravan park was exceptional with asphalt roads wide enough to land a plane on. Facilities were very good and the camp kitchen exceptional. 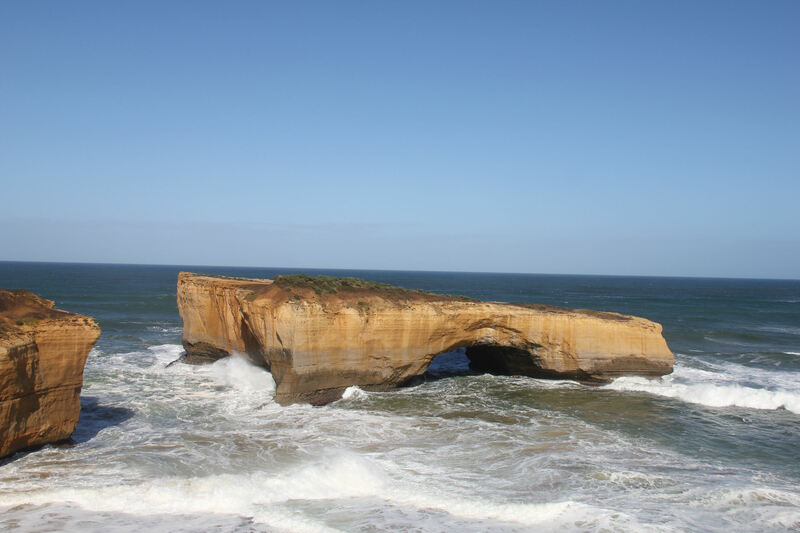 Ken said it was not a good trip down to this part of the world, unless we went to at least a couple of wineries in the Coonawarra. 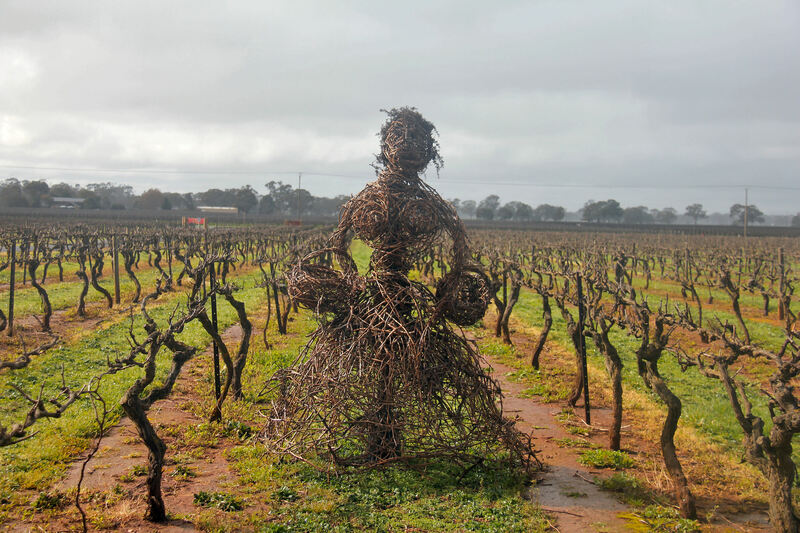 First we went to Zema Estate where they use the old vines for artistic purposes. 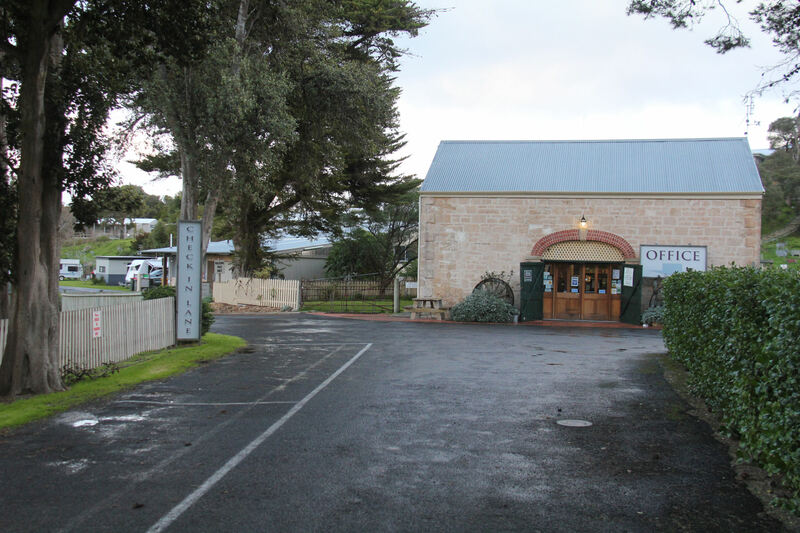 Next it was off to the Majella Winery where the land changed from this use to another. Lucky they changed it to a vineyard. 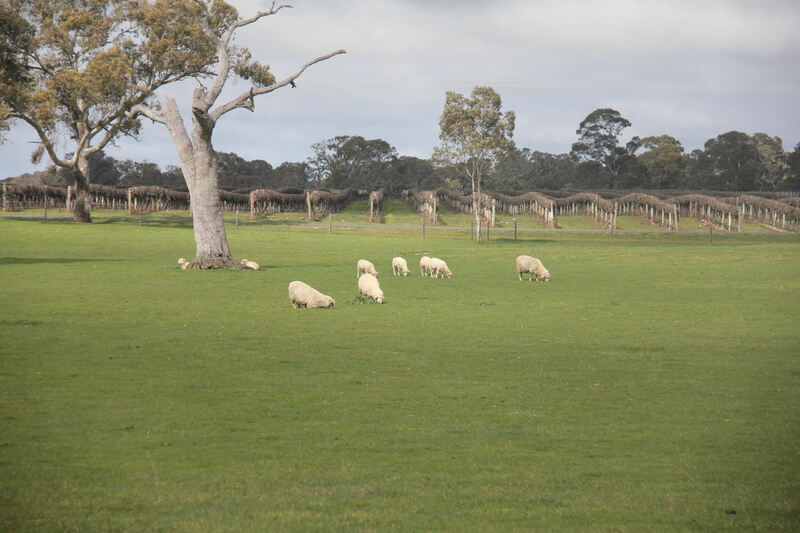 If you look closely the sheep in the middle of the picture is kneeling down to eat the grass. 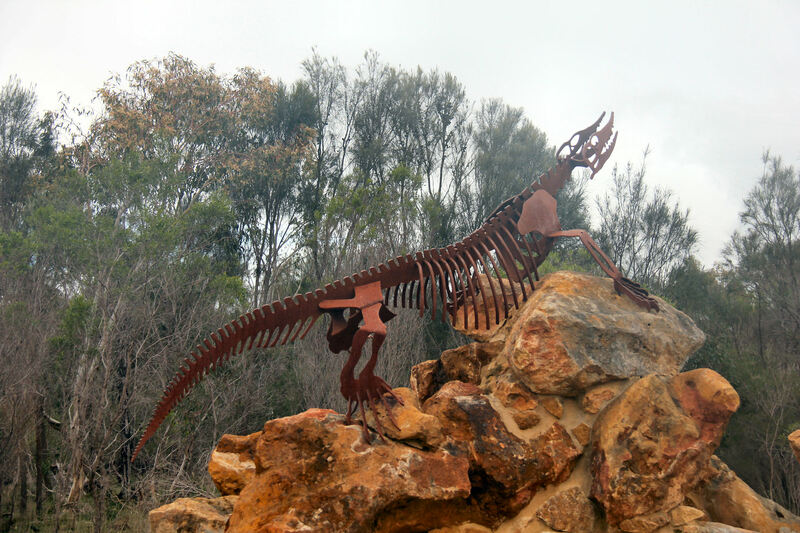 Interesting the artwork which is around the Naracoorte caves. A blue wren was visiting the area also. We decided to cook tea in the camp kitchen on Wednesday night. It was interesting when we were joined by a family from overseas. I always tell Lorraine what occupations the people are. This occurs prior to introducing ourselves. My success rate is pretty good, so I decided to see how Ken was. I suggested that the male was an engineer and the lady was a teacher. The couple were from Shanghai and had two boys with them. There names were Sam and Linda. Sam actually was a partner in an E-commerce company, while Linda is a Linguistics lecturer in a University. 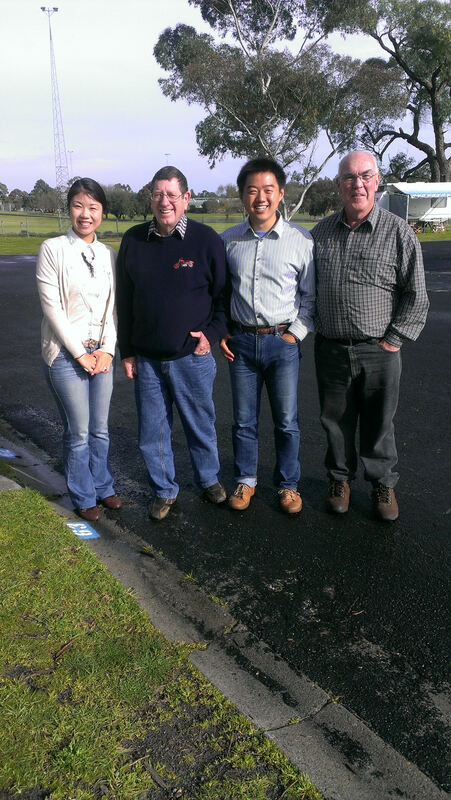 It was an interesting evening discussing their travels in Australia and also their work and life back in China. We were actually the same generation as their parents. 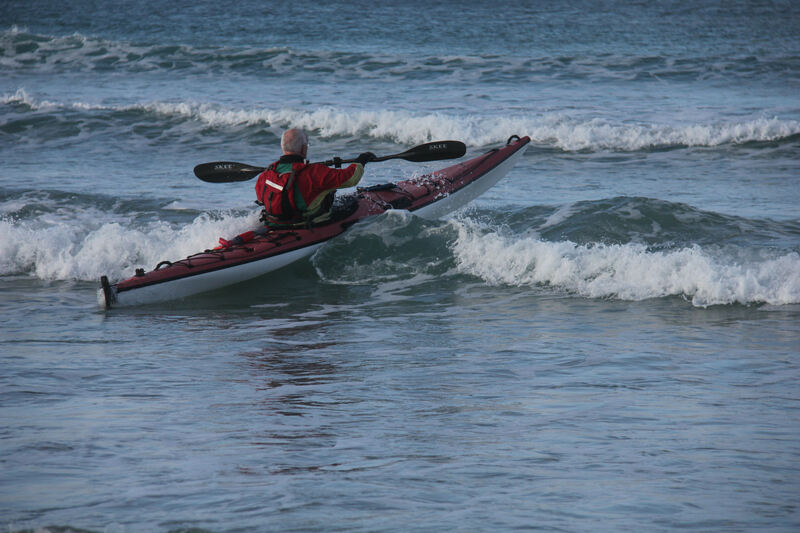 The last time we saw them, the plastic was flapping in the breeze, as they went around a corner at Keith. They had to drop the Maui back near Adelaide Airport before 3:00 pm and be on the plane to Sydney at 6:00 am on Friday morning.